Eilis: Miss Kelly wants to talk to you later. Mary Lacey: Not if what you're going to say will cause trouble for me in some way or another. 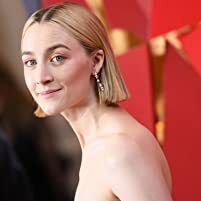 Q: How is the love story in "Brooklyn" a metaphor for the immigrant experience? Q: What song does the man sing at the Christmas dinner? Q: Is this film based on a novel? Sweet little love story of an Irish lass who comes to America circa 1950. She leaves her home in Enniscorthy (Co. Wexford) and comes to seek fame and fortune - and maybe a 'fella' - in Brooklyn. Subsequent events draw her back to Enniscorthy, and then back to Brooklyn. 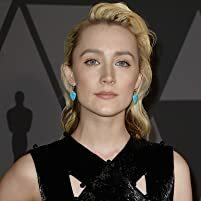 In between we come to know Eilis (pronounced Ailish) Lacey (Saoirse Ronan) quite well because it is her picture, and she is in nearly every scene. She changes from a homesick immigrant to a self-assured woman in the course of the picture, and Ronan's characterization is terrific. 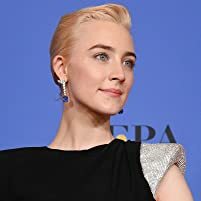 Along the way she meets Tony Fiorello, played by Emory Cohen in a role apparently underplayed so as not to upstage the main character. He comes from a big Italian family but is not a stereotypical Italian; he is barely audible and very subdued. Perhaps the best and most humorous scenes take place at dinnertime in Mrs. Kehoe's boarding house for Irish immigrant girls. Played by Julie Walters, she rides herd on her catty boarders and uses religious metaphors to put them in their place. 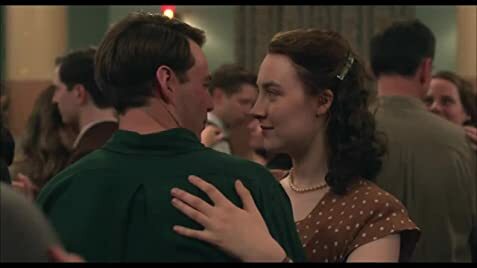 "Brooklyn" is a movie for grown-ups, an independent film in a sea of Hollywood schlock. It is a likable movie with a lot of heart and solid acting down to the smallest role. It is not a sprawling saga but a nice little movie, and I have only sketched a few instances. Many reviewers summarize the whole picture, but the overall tenor of the picture gives the moviegoer a rooting interest and a sense of the resiliency of the human spirit, as well as an illustration of the innate decency and goodness of Eilis Lacey. P.S. 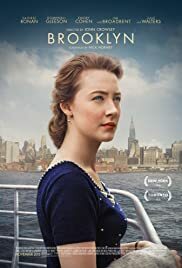 Those hoping to see scenes of Brooklyn neighborhoods will be disappointed; the picture was filmed in Canada and Ireland. 57 of 68 people found this review helpful. Was this review helpful to you?